Get in the game. 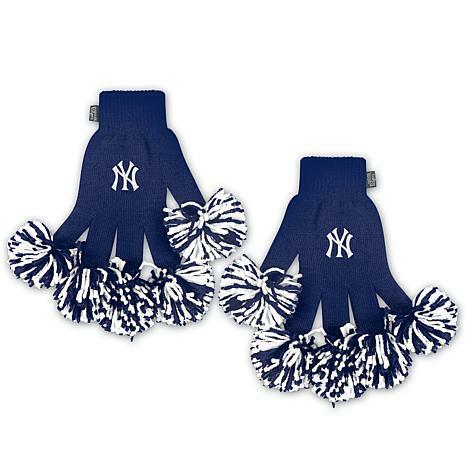 Take cheering to a whole new level with these fingertip pom poms that feature your favorite team's colors and logo. What a fun gift for men, women, young or not so young. Best thing ever!!!! Real fun way to cheer !! 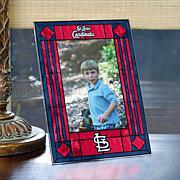 Spirit Fingers - Go Cards! 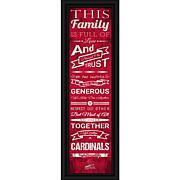 I ordered the STL Cardinal's and even though they didn't have a picture to display the colors of the yarn I bought them anyway. I am disappointed that the pom pom's are red and blue and they should have been red and white. Still a great gift! Get yourfour legged best friend geared up for the big game with Sparo's pet hoodie of your favorite team. Breed size standards for a medium range from (Basenji, Bichon Frise, King Charles Spaniel, Miniature Poodle, Pekingese, Pomeranian, Silky Terrier) Made of cotton and made in India. Get your four legged best friend geared up for the big game with Sparo's pet hoodie of your favorite team. Breed size standards for a Xtra-large range from (Australian Terrier, Border Collie, Cocker Spaniel, Corgi, Schnauzer, Standard Poodle, West Highland Terrier) Made of cotton and made in India.